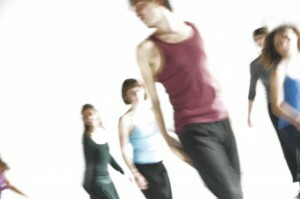 The ‘contact improvisation’, is defined as a technique is developed from the early ’70s. This technique has been a source of inspiration for dance at an international level in particular influencing the contemporary choreography. It ‘also a discipline practiced by ordinary people who like to move around the world. The teaching that leads to learning ‘contact improvisation’ is based primarily on physical exercises that bring attention to the guidance in the whole body, from breathing the correct posture of skeletal structure, muscle dall’efficenza imagination of the movement. The immediacy of the creative responses which emerge from the physicality of dance can stimulate each personal research and reflection, learning directly from sense perceptions. The exercises used in the lessons of ‘contact improvisation’ leave from the sensitization of the natural characteristics of the body by stimulating and nourishing the physical presence and mental health. With the practice of releasing ion balance in supporting the weight of the body listen to the force of gravity ‘in action. This allows us to get involved, improving the response times of our reflexes and coordination between limbs and center of gravity. We will use the skills and ‘acquired for use as templates to’ internal dynamics of the form in a dialectic between the drive and follow the people with whom we are dancing. Originally from Michigan, Charlotte trained in modern dance at the University of Utah in 1980. Over the last 25 years her dance work has made a slow transformation into a multidisciplinary expression of dance and textual movement (more recently using song and rant poetry). Her performance language is influenced by an interest in the emancipation of the body through studies in vocal work, Contact Improvisation, Authentic Movement, and Traditional Chinese Massage. Charlotte often works in concert with musicians and originally composed scores and with meaning as it is communicated through gesture and text. Interest in also presenting womens feminine issue related work began in 1998 in ‘Silenzi’, inspired by Emily Dickenson’s poetry. Charlotte moved to Europe in 1983, toured extensively with “Group/0″ directed by Katie Duck until 1987, in 1977 collaborated in a few productions with “Gaby Agis and Co.”. She has also worked with: in 1991, Virgilio Sieni in the pieces “Quartetto” and “Via della Seta,”(Florence) in 1992 with “Company Hamilton” (London) performing in the production “Hortus Botanicus,” and in 1993 “Travelogue” with “Sasha Waltz and Guests” (Berlin). 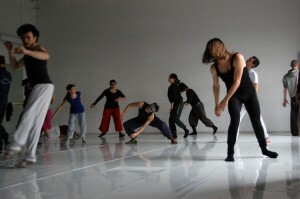 Other collaborations have included improvisational projects along side dancers: K. Duck, A. Certini, S. Paxton, P. DeGroot, J. Hamilton, K. Simson, N. S. Smith, A. Alessi, L. Nelson. She has directed and choreographed the productions City Bits in 1994 and Bones in 1996 for EDDC Arnhem, and Idiom in 2001 for Bewegungs Art Freiburg. Her teaching includes touch and relationship as a principle tools and helps students to find their own voice bringing them easily towards performance and composition. She has taught at institutions: “Dartington College of Arts, (England), EDDC Arnhem (Holland), SNDO Amsterdam, Accademia Arte Dramatica (Milano), IALS (Rome) Studio Area Barcelona (Spain), Bewegungs Art Freiburg (Germany), Istituto de Danza Superiore Caracas (Venezuela), Accademia Nazionale della Danza and IALS (Roma).